The Orcas Island Lit Fest today announced its 2019 featured artists. Highlights include best-selling memoirist Therese Marie Mailhot, Nebula Award winner Nicola Griffith, National Book Award winner Judith Thurman and American Book Award winner Mat Johnson. Other celebrated artists headlining this spring’s festival include critically acclaimed authors Eric Puchner and Tom Barbash, Pushcart-winning poet Rick Barot, and award-winning screenwriter and YA author Kirsten “Kiwi” Smith. The festival, slated for April 5-7, 2019, will start off Friday night with a Lit Walk held at multiple venues around the village of Eastsound, followed by two days of panels, readings and a book fair hosted at the Orcas Island Center for the Performing Arts. The OILF Kids’ Fest, a free community-focused event, will take place Saturday morning at the Orcas Island Library. 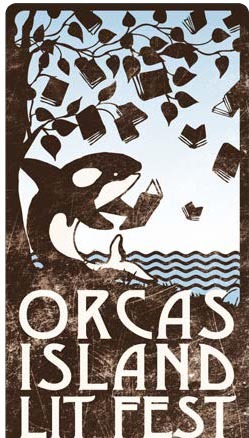 About the Orcas Island Lit Fest: The Orcas Island Lit Fest (OILF) is an annual celebration of literature and community held in an inspiringly beautiful place. OILF brings together renowned authors and avid readers, visitors and locals, for three days of panels, readings and events that highlight the vibrant literary culture of the Pacific Northwest and beyond. From National Book Award winners to gifted new voices, our featured artists from across the country represent the finest in contemporary fiction, nonfiction, poetry, screenwriting and more. The Orcas Island Lit Fest is an opportunity to engage with world-class writers and their work in an intimate, inclusive setting that welcomes everyone who loves books. Detailed information about OILF and this year’s headlining authors, as well as a link to purchase tickets, can be found on the festival website: oilf.org. OILF news and updates are also available on our Facebook and Instagram pages.